I’m glad you stopped by for a visit. Let me take a few minutes to introduce myself. Let’s see….you probably want to find out a little bit about me. 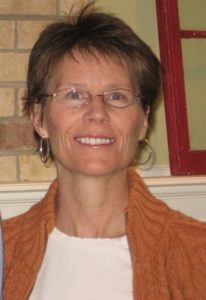 Well, I live in Boulder, Colorado with my incredibly intelligent and handsome husband! (He made me say that). I also have two kids who are all grown up and don’t live at home anymore. They were little when I started writing children’s books. I think I was inspired because of all of our visits to the library! 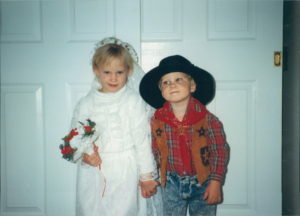 Here are my kids when they were little. Aren’t they cute? Lots of times, when I was working on a book, we would take family trips to find out more about my subject. 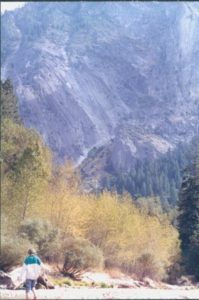 We traveled to Yosemite to learn about John Muir (JOHN MUIR WRESTLES A WATERFALL), to Paris, to learn about Claude Monet (MONET PAINTS A DAY) and traveled all over the West to learn about the women in my Notable Women of the West biography series published by Fulcrum. 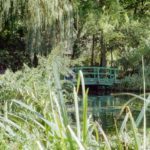 Taken at Monet’s house in Giverney, France. I am retired now, but I was a teacher for many years. Throughout my career I taught all grades, but for the last 14 years I was a middle school teacher. I really loved teaching and of course, being around kids all day gave me LOTS and LOTS of ideas! Sometimes I even made…I mean asked…my students to read my stories and give me ideas for improvement. I have lots of hobbies. I LOVE to read, garden, bike, travel, listen to music and sew. Sometimes, if I’m really lucky, I can do more than one hobby at a time. I like working on a quilt while I’m flying on an airplane and I listen to music while I garden. I still haven’t figured out how to read while I ride my bike, though. If I do, I’ll let you know! 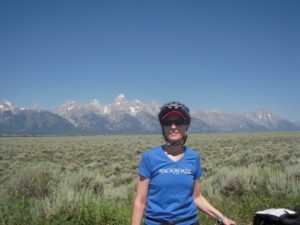 Biking in Grand Teton National Park….Amazing! I like to get up VERY early every morning and spend the first part of my day working on my writing. Sometimes I’m just coming up with ideas, sometimes I’m revising and editing an old story, and sometimes I’m drafting a new story. Whatever I do, working in my writer’s notebook is always a peaceful, creative way to start my day. 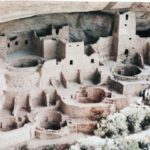 One thing that I’m really proud of is the fact that I am a third generation Colorado native. My grandmother was the daughter of a miner and grew up in some of our state’s most famous mining towns. I grew up listening to her stories and I was lucky enough, when I got older, to be able to travel with her and visit some of the mining towns that she lived in as a little girl. 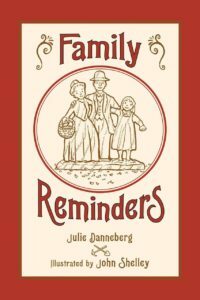 My book, FAMILY REMINDERS, is a story based on my grandmother’s little girl life. If you want to find out more about me, or about what its like to be a writer check out the FAQ section of this website. On that page I’ve tried to answer some of kid’s most frequently asked questions.